Through its premiere College of Veterinary Medicine, WSU has been a leader of translational and biomedical research, including collaborative and comparative research that has direct application to human health. 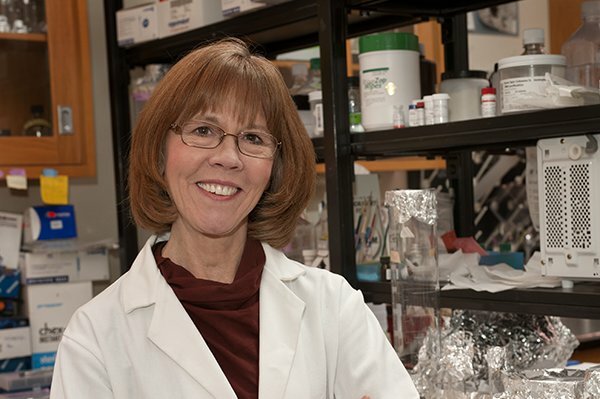 Neuroscientists Bob and Sue Ritter, researchers in Integrative Physiology and Neuroscience and members of the Washington State Academy of Sciences, have devoted their careers to studying the complex hormonal and neurological pathways of appetite and satiation. With funding from the National Institutes of Diabetes, Digestive Diseases and Kidney and the National Institute of Neurological Diseases and Stroke, they are probing the fundamental processes behind the brain and behavior and undergirding our understanding of obesity, which has more than doubled since 1980. Sue and her research group focus on how the brain keeps track of energy metabolism by monitoring the availability of glucose and fat. Her work on glucose sensing has uncovered brain circuits and reflex mechanisms that protect an animal against potentially fatal drops in blood glucose. This work has important clinical implications because the physiological mechanisms she has defined frequently fail during insulin treatment for diabetes. Her recent work on mechanisms of fat monitoring suggests that fatty acids influence appetite in part by acting on membrane receptors that control the release of appetite modulating hormones. This work may facilitate development of pharmacological agents to counteract obesity. Using cutting edge technology, Bob and his colleagues have uncovered evidence that hormones and brain neurotransmitters influence food intake by altering the strength of sensory signals carried by nerves from the digestive tract. By understanding the chemistry of these nerves and the molecular mechanisms by which hormones and transmitters activate them, we may be able to develop more selectively targeted interventions to treat obesity and eating disorders.